It was shortly after the devastating earthquakes had leveled dozens of villages in Nepal when I returned to my favorite garden patch and ran into Dawa. I knew his story of how for the past 10 years he’s lived and worked as the gardener at Blue Lake Ranch, an upscale B&B up the road a bit, to send all his money home to his wife for the house and garden plot they share in a village which no longer exists. I know that he cannot return to Nepal to be there with her and for her and their children to come here is very expensive. I asked him how we was and he “said not so good, the earthquakes have not stopped.” He looked tired and the hair on his temples were a little grayer than I remembered from last I saw him out amongst the Dahlias. I could feel the heaviness of his heart and at the same time there was a sense of peace about him and the smile on his face was as genuine as ever, and I was curious and something propelled me to ask him: How does your Buddhist faith help you cope with all this now? 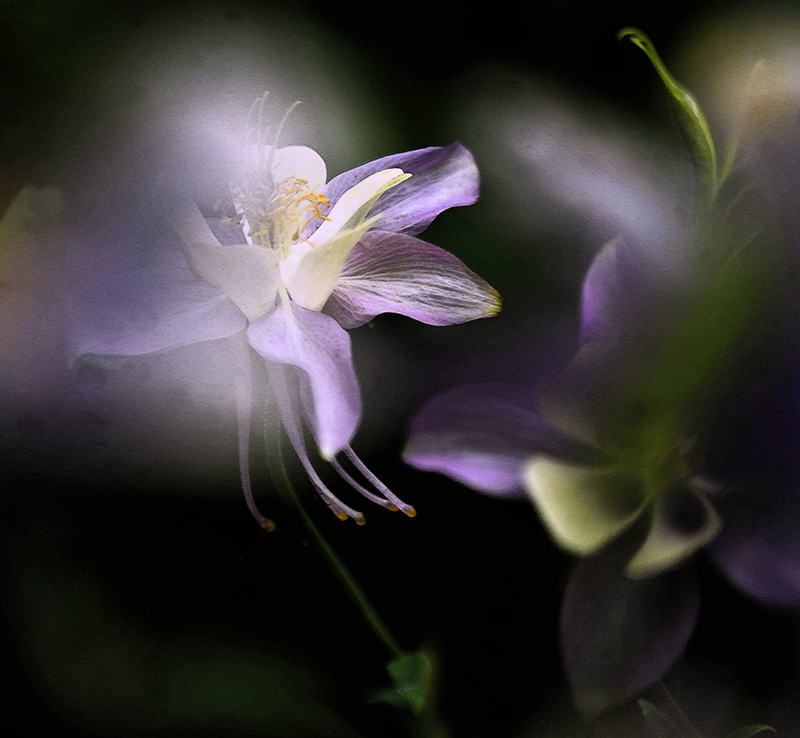 I thanked him, he wondered off and I returned to the Columbines that first captured my heart back when I first started practicing beginner’s mind at the Ranch. Dawa’s simple words hit home in a way that reading a similar instruction from a book does not. A few weeks later as I was driving through the greenest New Mexico landscape I have seen in my entire life, to a Buddhist retreat located at Vallecitos Mountain Ranch that little voice whispered “maybe Dawa could be your teacher?” I paid attention and made note and tucked it away as I came to the dirt road leading into 300,000 acres of Kit Carson National Forest and to refuge in noble silence for a few blessed days. When that same thought arose upon leaving the retreat I knew I had to obey. Two days later after returning home I saw Dawa in the garden and I asked him if he would teach me Buddhism. He said he would. This post serves as the background for my ongoing conversations with Dawa. I need to write down / record what he shares with me somewhere anyway so I don’t forget, so I might as well blog so that others of the Sangha can benefit from what he tells me as well. I am a few lessons behind and the next few posts will be to catch up. I’ve shared some with my partner she thinks what Dawa says is priceless….and a Dharma buddy say’s he’s a gem….all I know is he’s helping me blossom. What a gift! Thank you for this, Robert. I can’t wait for the next lesson.